write at least one pen pal letter each month!!! Two games a week, repeats don’t count, and we even put a calendar up in our game room to keep track. It was an opportunity for my partner and I to sit down, come hell or high water, and intentionally be together. In the coming months, I’ll be updating you on the games we play with a general run-down of their mechanics and highlight my favorite game of the month, starting with what we played in January. Won’t you join us? 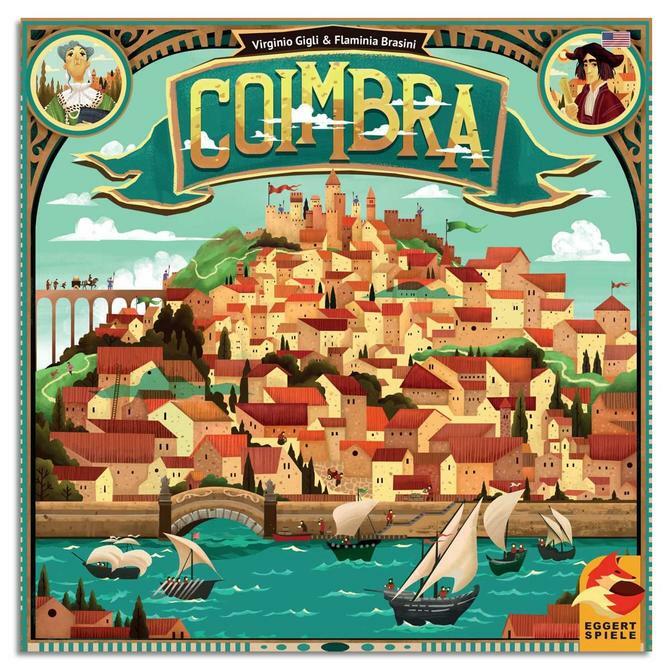 Coimbra, a cultural center of Renaissance Portugal, is the setting for this economics game. Your strategy must be to curry favor with the influential powers of the era. Why did the pawn cross the pond? Why to get to the other side of course! It’s your job to help them get there. Using a set hand of cards, you’ll program your actions to construct planks thereby providing safe passage for your pawn, and hinder the crossing of other players. 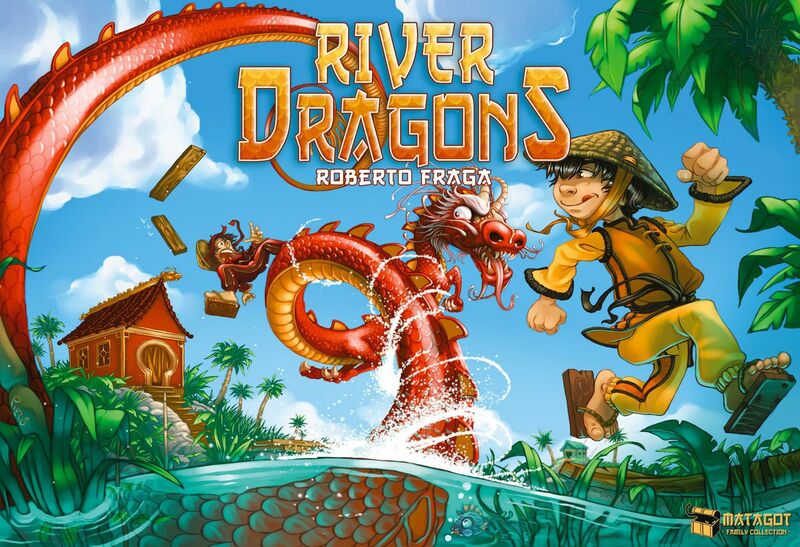 But beware the river dragons! 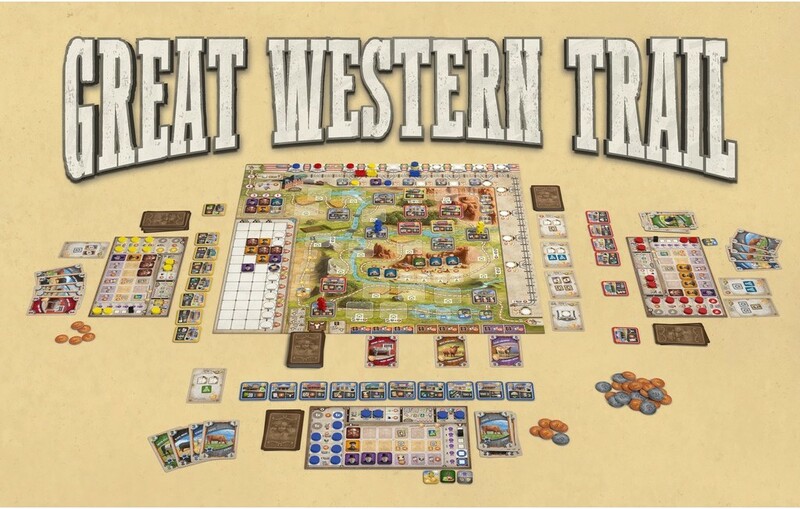 A cyclical game of American West cattle ranging. Herd your cattle from Texas to Kansas City, protecting them from dangers along the trail. When you reach Kansas City, you’ll need to ship your most valuable cattle by rail to gain even more victory points. This game takes some obvious influence from Redwall as animal factions vie for control of the forest. 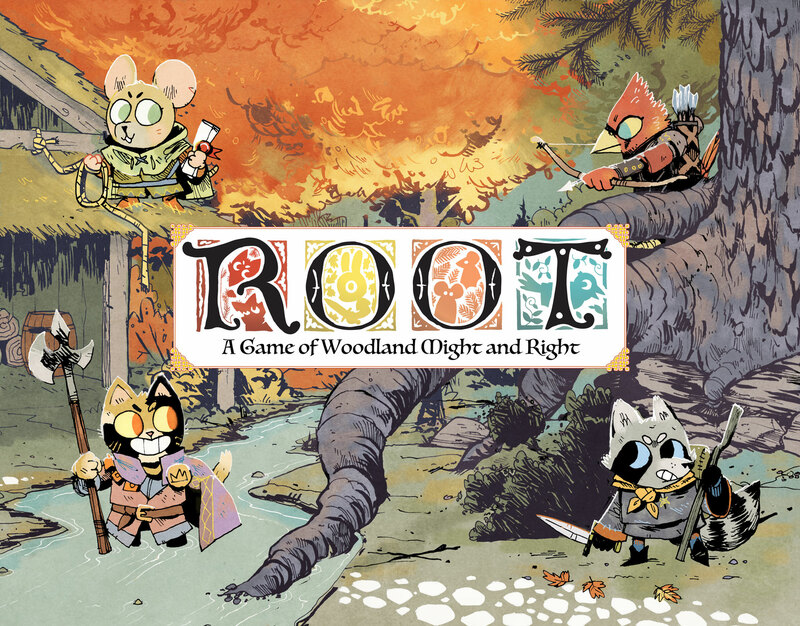 Play as the Marquise de Cat, the Alliance of forest animals, a wandering Vagabond, or the Eyrie of birds. Each faction has its own strengths to give you a paw up in the game. Take the role of one of New York’s leading mafia families. You’ll complete for control of the crime syndicates and increase your family’s wealth and power. The Godfather was a surprise favorite of this group. 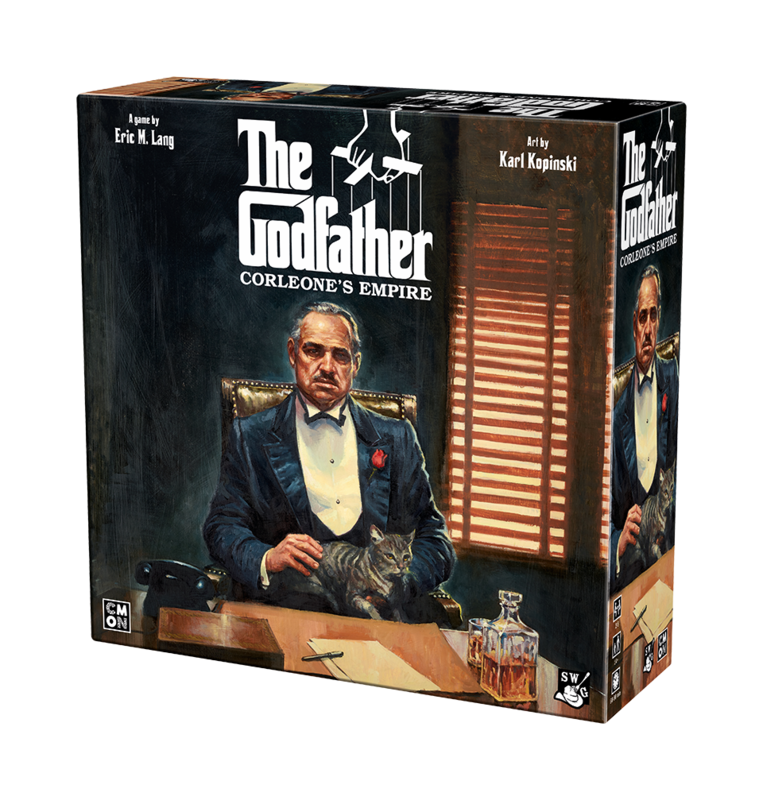 I’ve never seen The Godfather films and usually theme is my main draw to a tabletop game. But this game has some clever mechanics as you seek control over boroughs, stash cash in your suitcase (an adorable suitcase-shaped tin for each player, *thumbs up*), and send your enemies to sleep with the fishes. 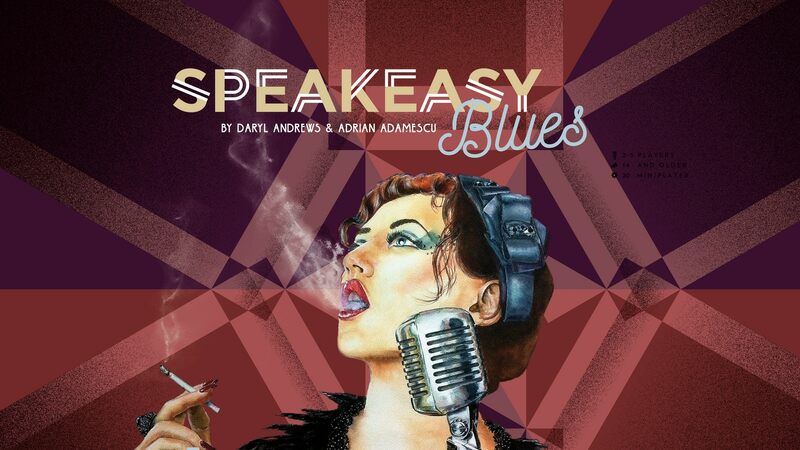 1920s Prohibition New York – lure celebrities, bribe the law, smuggle hooch, all in the pursuit of making your speakeasy the talk of the town. You just have to survive until the 18th Ammendment is repealed! 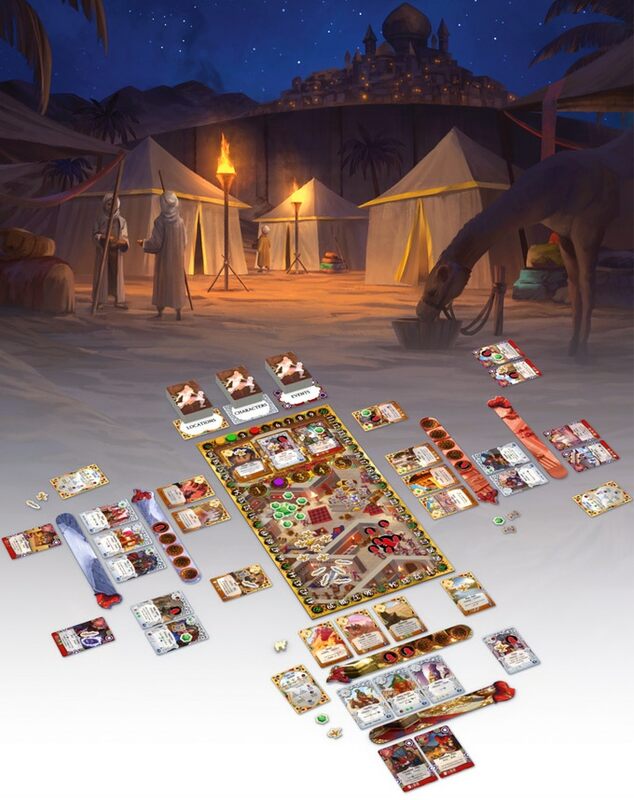 In this game each player represents a possible timeline of the same character, a thief in the glimmering desert oasis of Nabbarah. Your goal, as you steal valuables and forge & break friendships, is to craft the most valuable and least dangerous future for yourself. 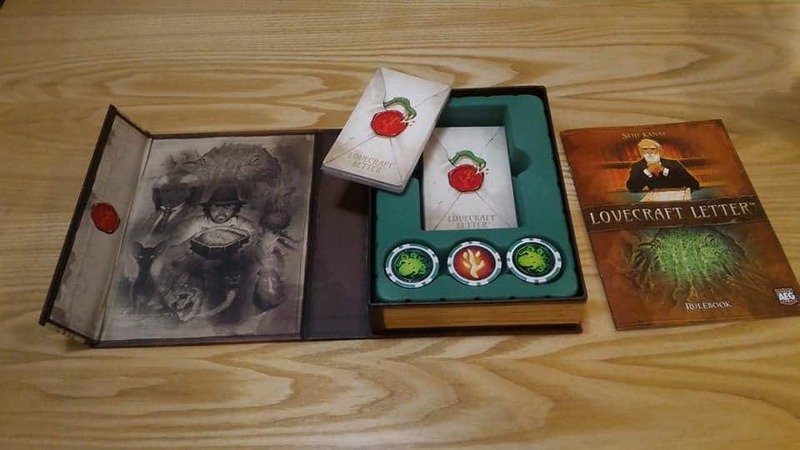 A variant of the original game Love Letter. This card game takes the bluffing aspect of its simpler origins and provides an “insanity” twist, as the old gods influence the investigators. Get in to the dungeon, get the loot, and get out. The deeper you delve the better loot you’ll find but SHHH! 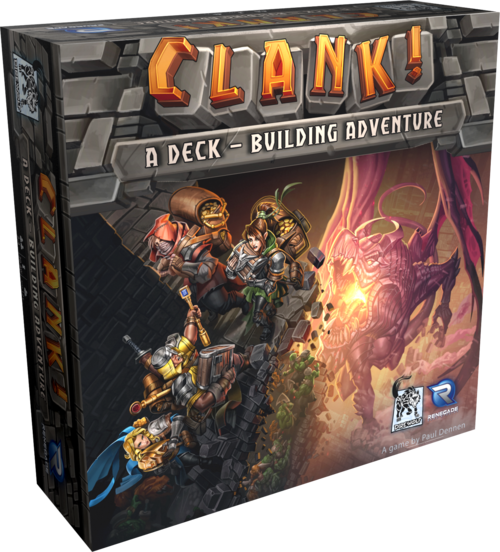 Too much CLANK! and you’ll wake the dragon! Join us next month to see what we played in February. You can also follow along on Instagram by following #104Gamesin52. What games have you played recently? Have any suggestions? Let us know in the comments below!